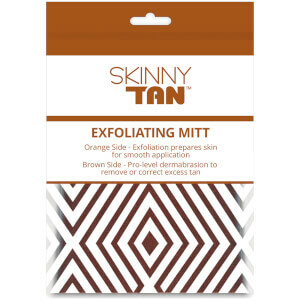 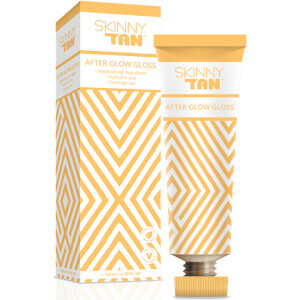 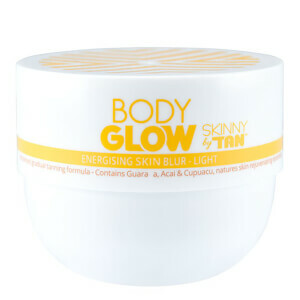 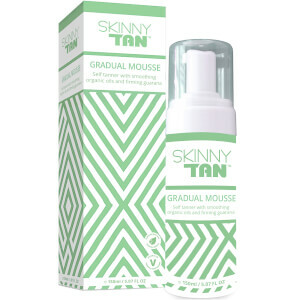 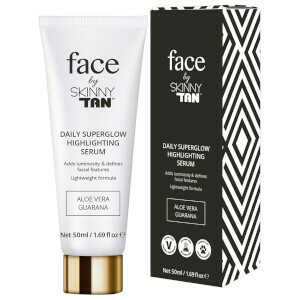 The founders of Skinny Tan launched the brand to give self-tanners a good name as opposed to its previous bad reputation. They approached Dragon’s Den and were invested in straight away and with good reason. 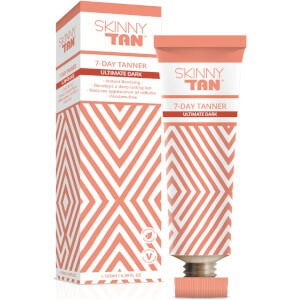 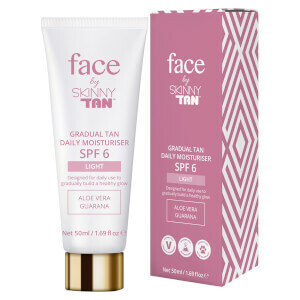 They changed the perceptions of fake tan with their streak-free, natural looking tans which last up to 7 days. By combining natural tanning actives with naturally derived skin smoothing actives, their formulas tan, contour and reduce the visible appearance of cellulite. 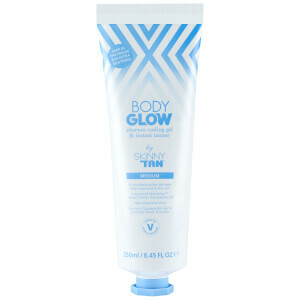 Complete with a delicious coconut scent, you can rest assured you won’t smell of the giveaway fake tan fragrance. 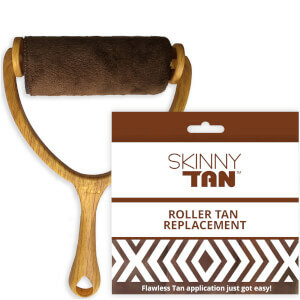 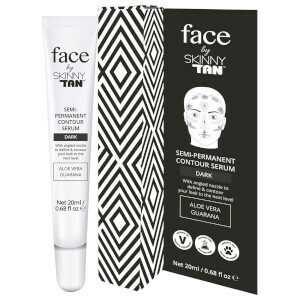 The Skinny Tan Luxury Application Roller is a fool proof tool which assists in self-tan application. Its intelligent and ergonomic design allows it to quickly and easily manoeuvre around body contours for an even, streak-free finish. 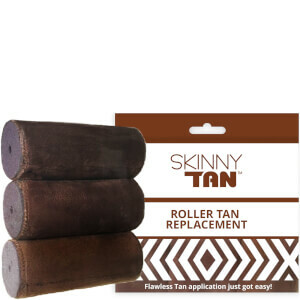 Comfortable to hold, it features a long, wooden handle and soft roller head which can be removed and washed, as well as replaced. 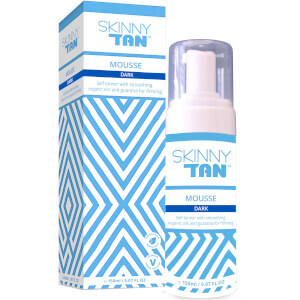 Made to target hard-to-reach areas such as the mid-back and the back of legs, it glides over skin easily for a flawless, seamless tan. 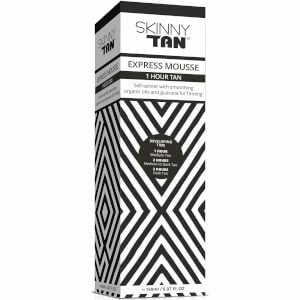 The Skinny Tan Express Mousse is a convenient tanning foam which works on both the face and body and boasts long-lasting results. 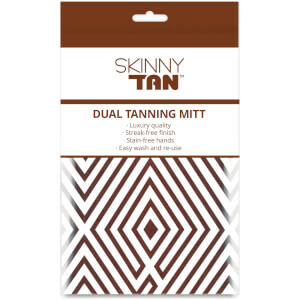 Enriched with two certified natural tanning ingredients, this lightweight, fluffy tan effortlessly glides over skin for a flawless, streak free finish. Containing aloe vera, caffeine and coconut, it reduces the appearance of blemishes and cellulite whilst subtly fragrancing your skin.